Drumming and meditation both have a somewhat large and growing amount of research that reveal numerous therapeutic effects. Both are powerful catalysts for healing and personal growth. Many of the benefits overlap, and there is good reason for this. One element that is common to most meditation techniques is concentration. When you are watching a sunset and feeling a serene and loving connection with the sun, you don’t have to try hard to concentrate. In those moments, you are meditating and the setting sun is your meditation object. Other meditation techniques may entail focusing on the breath, a repeated word or phrase or a visualized flower. During meditation, you’re becoming more connected with your object – more absorbed in the experience of your object on subtler and subtler levels. 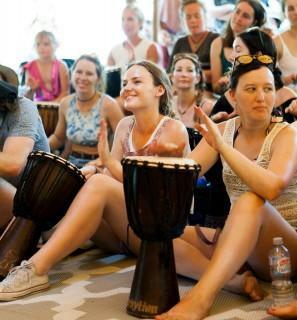 The object during drumming meditation is the drum’s rhythm, the sound and the feeling in your hands as you drum. The act of playing a hand drum is quite often a form of meditation, and you’re going to have varying levels of absorption. Drumming meditation is the art of doing this deliberately and consciously, using techniques that are specifically for transformational and meditative purposes. Many people find that meditation with a drum has an advantage over other techniques. Concentration and that loving sense of connection come very easily. It draws you in and meditates YOU, kind of like an amazing sunset or a heartfelt hug. Both drumming and meditation have been shown to integrate various parts of the brain and to generate synapses which connect neurons to each other. This leads to greater coherence and efficiency of brain function. It also boosts intuition. A number of studies have shown that drummers have higher cognitive functioning ability compared to control groups. One study from Stockholm’s Karolinska Institute developed an intelligence test with 60 questions that measured problem-solving ability. Test scores positively correlated with the ability to keep a beat as a drummer would. Studies of meditation techniques have also found positive changes in cognitive ability. One study of 112 long term care workers from various fields estimated that group drumming brings a large human resources savings due to decreased burnout and changes of mood. The study was based on six sessions of group drumming. Combined with this was a program that fostered camaraderie between people of varying disciplines within the long term care community. An independent firm estimated ongoing sessions would lead to an annual HR savings of $89,100 USD for a typical sized 100 bed home. Studies of mindfulness meditation and other techniques have revealed similar results in many types of workplaces. Drumming increases pain tolerance, at least in the short term. Drumming releases endorphins, which are natural “opiates” produced by the brain. This result has been observed during a short period of time immediately following drumming performances. Studies of mindfulness breath meditation and mantra meditation also show long term increases in the pain tolerance in practitioners. Drumming meditation could possibly bring the same long term results. The list of known therapeutic effects of drumming is huge. Drumming is used to treat behavior problems in youth, Alzeimers, MS, PTSD and a seemingly countless list of other ailments. The same can be said of meditation. With all the benefits that both disciplines provide, why not put the two together and practice drumming meditation? Make sure you don’t wake up your neighbors. Coming Soon - Online therapeutic drumming meditations. Join Our Mailing list to keep informed. 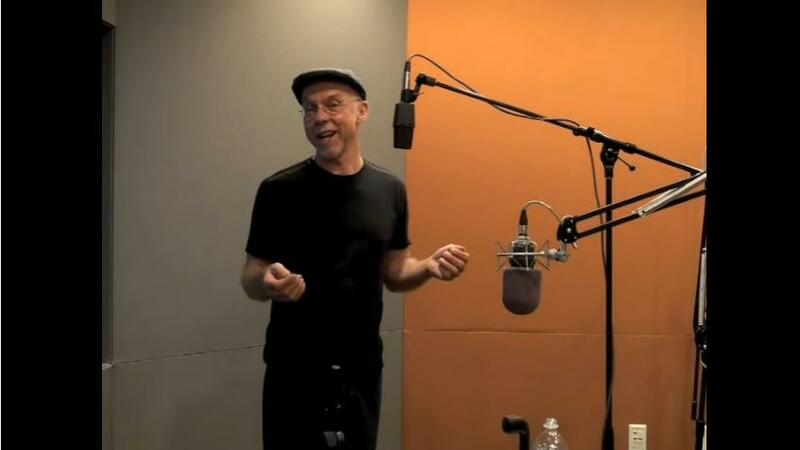 Our Online Body Percussion Teacher Training is a great place to get started.